Most of my previous thoughts about coal-fired power plants were centered around the CO2 emissions they produce, and how it is leading to climate change. As I’ve done more research, the direct impact on human health could be an even larger reason for getting off of our dependence on coal. The Clean Air Act requires the US Environmental Protection Agency (EPA) to establish standards for numerous and diverse sources of pollutants considered harmful to public health and the environment. The EPA created the National Ambient Air Quality Standards (40 CFR part 50). Within the standards, they identified six principal pollutants, called “criteria” pollutants. 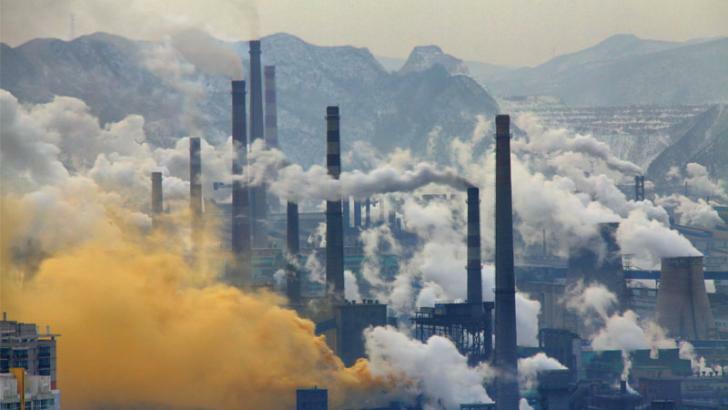 Coal-fired power plants release Nitrogen Dioxide, Sulfur Dioxide and Particle Pollution. These combine together to create ozone pollution. So four of the six pollutants are generated by coal-fired power plants. So what do these pollutants cause, that make them so dangerous? SOx is a highly corrosive, invisible gas that is formed when coal is burned. The impact of SOx is based upon its reaction with other compounds in the atmosphere (such as NOx) to form small acidic particles. These particles can penetrate into the lungs to cause respiratory illnesses and diseases, such as emphysema, asthma and chronic bronchitis. It can cause less severe conditions such as coughing, wheezing, shortness of breath, nasal congestion and inflammation. It can aggravate heart disease, leading to premature mortality and increased hospital admissions. It is especially harmful to infants and anyone with asthma or other respiratory issues. NOx represents a family of chemical compounds including nitrogen oxide and nitrogen dioxide. When coal is burned, it converts to nitrates with the ammonia and moisture in the atmosphere, and forms fine acidic particles. In the presence of heat, sunlight and volatile organic compounds (VOCs), it reacts to form ozone smog. Several groups of people are particularly sensitive to ozone, including those with lung diseases, those genetically sensitive to ozone, children, older adults and active individuals, especially when they are outdoors, where the ozone levels are highest. Physical activity can increase breathing rates, which draws more ozone into the body. The ozone causes irritation in the lungs, reduces lung function, aggravates asthma and other lung diseases (which can lead to permanent damage), and inflames and damages lungs cells, which makes them more susceptible to infection. Basically, when ozone levels are very high, everyone should be concerned about ozone exposure. Particulate matter (PM) are small solid particles (soot) and liquid droplets made up of harmful mixtures of sulfur, nitrogen, carbon, acids, metals and airborne toxics. These microscopic solids (less than 25 micrometers) and droplets are able to get deep into the lungs and into the blood stream, resulting in inflammation of the cardiac system and decreased lung function. Studies have shown associations between changes in particulate levels and cardiovascular disease mortality and hospital admissions (from heart attacks and strokes), as well as disease exacerbation in patients with cardiovascular disease. There is also a long-term increase in risk for heart disease mortality and dysrhythmia. An increase in respiratory symptoms includes irritation of the airways, coughing, difficulty breathing, aggravated asthma, and increased risk of bronchitis and lung cancer. In children, particulates are linked to low birth weight, premature birth, airway obstruction and sudden infant death syndrome (SIDS). If you just look at particulate matter on its own, one study from the Clean Air Task Force estimates that 30,000 people a year in the US die as a direct result from coal plants. It is also sad that most of the people most at risk are those living near these plants, which are typically the poor, who don’t have the political power to force change, or have enough money to move further away. When you consider the carbon dioxide (CO2) impact on long-term climate change that is also a direct result of these power plants, immediate action should be taken to shut down or upgrade the oldest and least controlled coal-fired power plants in the US (who are currently exempt from some of the Clean Air Act regulations due to their age), and replace with renewable energy that does not exhaust these toxic emissions. Then we need to start phasing out the next most polluting plants on the list, until we have eliminated our use of coal completely, or have determined an effective way of preventing these emissions from escaping into the atmosphere.